Stroll through Coney past, present and future with the Coney Island History Project Walking Tour! The 1-1/2 hour, wheelchair accessible tour includes a private visit to the History Project's exhibit center. Our unique walking tours are based on History Project Director Charles Denson's award-winning book "Coney Island: Lost and Found," the interviews from CIHP's Oral History Archive, and other primary sources. Tours are offered year-round. Please visit our online reservation website to see the walking tour schedule and purchase advance tickets online. Tickets are $25 and help support the free programming of the Coney Island History Project, a 501c3 not-for-profit organization. 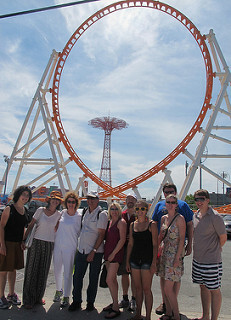 If you have a question or to arrange a group tour, please e-mail events@coneyislandhistory.org. Walking tours are led by History Project staff including historian Charles Denson or poet/teaching artist Amanda Deutch, who have over 100 years of family history in Coney Island! All tours begin with a private visit to the History Project's exhibition center under the Wonder Wheel's iconic entrance sign on Denos D. Vourderis Place (West 12th Street), just a few steps off the Boardwalk. The 1-1/2 hour tour includes a talk on the exhibits, photographs and artifacts on display, including an original Steeplechase horse from the legendary ride that gave Steeplechase Park its name; the Cyclops head from Spook-A-Rama, Coney Island's oldest dark ride; and Coney’s oldest surviving artifact, an 1823 Toll House sign dating back to the days when the toll for a horse and rider to “the Island” was 5 cents! 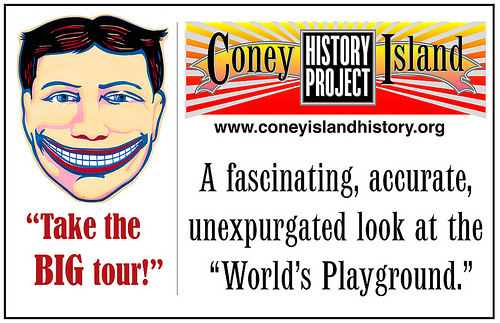 Coney Island History Project Walking tours are offered year-round on Saturdays and Sundays. 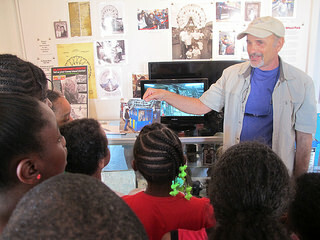 From April through Labor Day, Coney Island History Project Walking Tours are offered at 1:30 pm. after Labor Day through the fall and winter, tours start at 12:30 pm. A tour is confirmed when we have a minimum of 3 reservations. Advance purchase of tickets through our event reservation website is required since tours are limited to 20 people. If a tour is confirmed and has not sold out online, the remaining tickets will be available for cash purchase on the day of the tour when the History Project opens at 1:00 pm, (from May 28-September 4, 2016) or prior to the tour (spring, winter and fall). Throughout the year, individuals and groups may schedule a walking tour including a private visit to the History Project exhibit center on a weekend or weekday. Charles Denson is executive director of the nonprofit Coney Island History Project, which has created an oral history archive and sponsors educational exhibits, school programs and performances. He is the author of "Coney Island: Lost and Found," named 2002 New York Book of the Year by the New York Society Library. Mr. Denson grew up in Coney Island and began documenting his neighborhood as a boy, a passion that continues to this day. A writer, photographer and art director, he began his career in 1971 as a photographer for New York magazine and has since worked as art director for numerous publications. In 1999 he was awarded a Chronicle journalism fellowship at the Graduate School of Journalism at the University of California, Berkeley. In 2013 the New York State Marine Education Association presented the Herman Melville Award to Mr. Denson for his environmental advocacy on behalf of Coney Island Creek. Amanda Deutch is a native New Yorker, whose mother and grandparents lived in Coney Island. She has worked with the Coney Island History Project since 2008 and is also a teaching artist and poet. Her poetry is published in dozens of literary journals and her poem "30,000 City Windows" was nominated for a Pushcart Prize. In 2009, she founded the Parachute Festival in Coney Island, a two day literary festival that took place in the New York Aquarium's Alien Stingers exhibit. Her passions include impressing bystanders with her Skee-Ball skills and riding the Wonder Wheel. Can you find these 10 historic places in Coney Island? Here are some clues—in words and pictures—to guide you! Stop by the Coney Island History Project and pick up a copy of our new History Puzzler or download it as a pdf here. 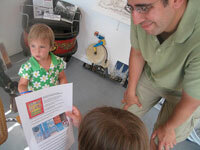 It's an "edutaining" activity for children and parents to enjoy together. Our free exhibit center is open from Memorial Day Weekend through Labor Day, Saturdays, Sundays and Holidays, from 1-7pm. You'll find us at 3059 W 12 St, at the entrance to Deno's Wonder Wheel Amusement Park, just off the Boardwalk.